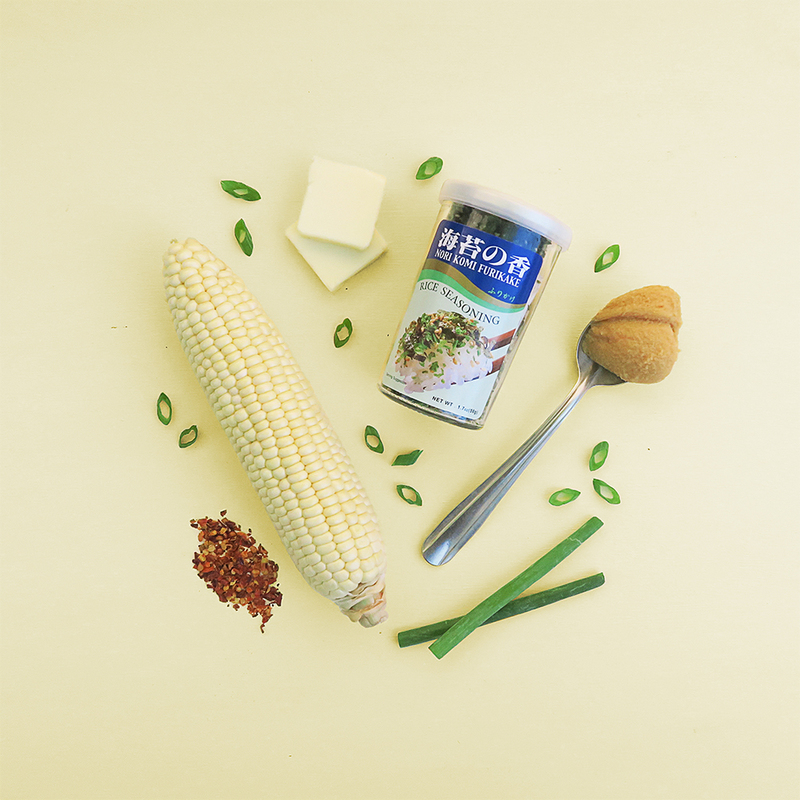 Mix together butter, miso, honey, soy sauce, and red pepper flakes in a small bowl, while your ears of corn lay naked and waiting on a plate beside you. Massage some olive oil into a cast iron grill pan and place it over high heat. Things are about to get smoking hot. Place the corn on the grill, slathering each shaft with the hot, flavored butter as it cooks. Cook the corn for 12-15 minutes, or until it looks golden brown and ready to be inside of you. Top with chopped green onion and a sprinkle of furikake seasoning for a night you’ll never forget.